with Ben Bazell about the life and works of John Clare. The stage at the Etcetera is set with just a table and chair. Ben Bazell as John Clare walks in clutching a plant. “They say I’m in a state of lunacy from years of prosing,” he tells us. Although others say it is from consorting with ladies of the night. 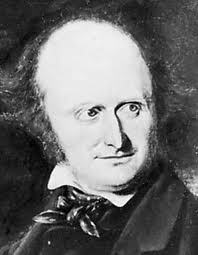 The story of John Clare, the Northamptonshire Peasant Poet (1793–1864) is told in his own words, gleaned from his journal and punctuated with his songs and poems as he sits in the madhouse where he spent more than 23 years of his life. His love for Mary Joyce is illustrated with a ballad; time spent living with the gypsies and collecting folk tunes, with a ‘scrape’ on the fiddle. Things take a bawdy turn with a song extolling the delights of a woman’s “cuckoo’s nest” – never heard it called that before! We learn of his excitement at becoming famous and meeting his literary heroes, and his despair when the public lose interest. There is anger at the ‘enlosures’ of public land and most of all there is his love of nature as evidenced in his poetry. There has been a renewal of interest in John Clare since the late 20th century and this is a timely celebration of the poet and his work by Patti Holloway and Ben Bazell. The latter’s portrayal of Clare does not ignore the more difficult aspects of his character but places them in context and invests him with dignity despite his human frailties. 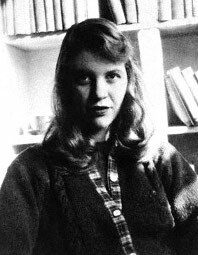 by Sylvia Plath movingly explores in verse the very different experiences of the three women waiting in a maternity clinic. with Patti Holloway. An exploration of the relationship between Eliza (Emma) Emmerson and John Clare explored through her letters to him. This is an accompanying piece to ‘Reflections from the Madhouse’. and the Theatre in Life! A Bravura Performance of an Entire Theatrical Company in One Person! 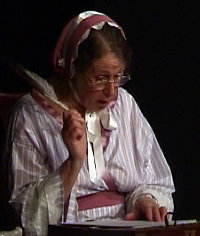 Crummles premiered with an American Tour in Autumn 2000, and has since toured to the States annually, including a presentation Off-Broadway. Crummles has also visited Canada, Germany, England, Wales, Austria, Croatia, as well as appearing mid-Atlantic on board both the QE2 and QM2. 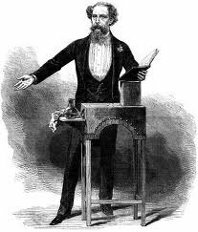 UK presentations also include The Centenary Conference of The Dickens Fellowship at University College London in 2002, the Rochester and Broadstairs Dickens Festivals in Kent and The Cedric Dickens Evening at Gad’s Hill Place (Dickens’s last home). 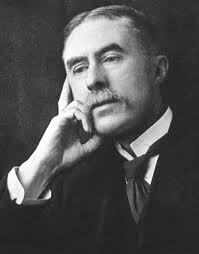 Alfred Edward Housman (1859–1936), an English classical scholar and poet, best known for his cycle of poems A Shropshire Lad, was the subject of Tom Stoppard’s 1997 National Theatre play The Invention of Love, described at the time as "the most emotionally powerful and enthralling play of his career" — and this "from the bare bones of the dry life of A.E.Housman". The clues are there in the poetry — if you know where to look. 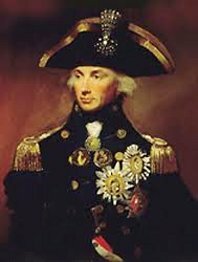 A solo piece recreating the Battle of Trafalgar and Nelson’s victory, together with his death, the return of his body to England, and subsequent burial in St Paul’s Cathedral. Robert performed it originally on the occasion of the 200th anniversary of the Battle of Trafalgar at the Stationers’ Hall on Friday 21st October 2005.
and directed by Keith Hutton.